This one is from the Cara Delevingne tattoo collection. Like many of her body parts, this model has a tattoo on the bottom side of her foot as well. This spot is a nice one for secret tattoo show-off but not too good for temporary tattooing. This spot is quite safe for small hidden tattoos like hearts, moon, digits, etc. It is most opted for by girls as they know well how to keep their fingers adorned decently. Ear can hide your small tattoos well, especially on the inner side, just like an example given below. 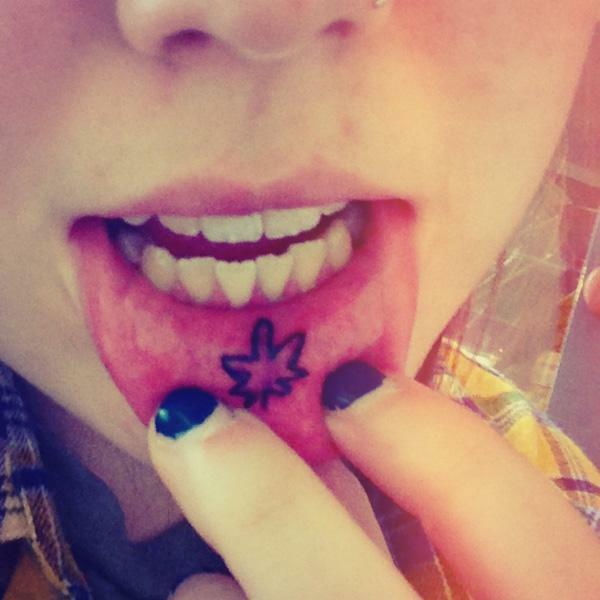 A very strange but still suitable spot for small hidden tattoos is the inner side of your lip. But only place a tattoo here when you are sure you can handle it comfortably. Ankles also make a great spot for small hidden tattoos, particularly the inner ankle. These tattoos stay hidden while staying stylishly prominent. Here is a very ideal spot for small hidden tattoos. You can easily hide them with your hair. This one is carried by most celebrities as it comes out very photogenic in close-ups. You can confidently get your next small tattoo right under your ear. This spot is the favorite of most of the models nowadays. It hides the tattoo well unless you are stretching your arm up or wide. The small hidden tattoos on the inner bicep will style up your bicep as an underdog. Girls and guys can carry them with equal confidence. This spot provides the ultimate coverage to your small tattoo. Even the bigger tattoos can be hidden here unless you are exposing your rib cage. 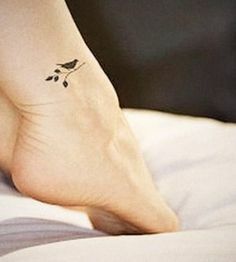 Here is an example of a subtle and small tattoo that you can carry on the side of your foot. It will stay mostly hidden in your shoes. It is another Cara Delevingne’s daring act. But it looks really impressive. So you can have your small hidden tattoos on your knuckles but make sure they blend in well with your complexion to avoid being prominent. These small tattoos will remain hidden inside your shirt’s sleeves. But avoid this spot if you are used to wearing sleeveless outfits.